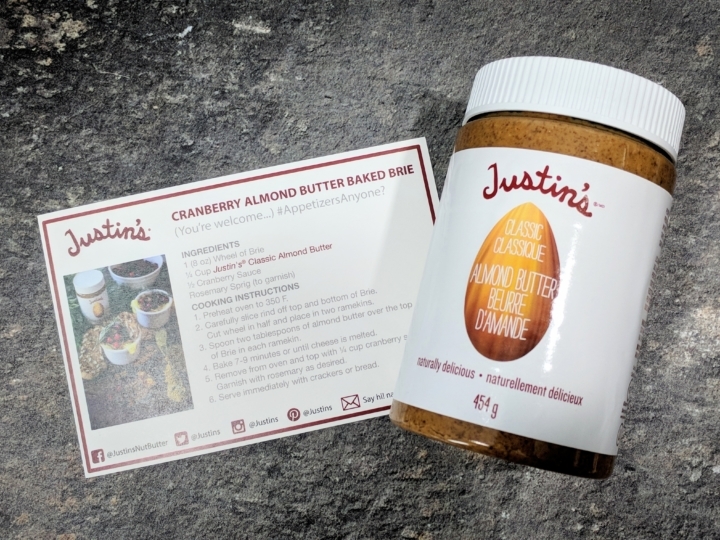 Justin’s Classic Almond Butter. I love almond butter! I eat it with some homemade jelly for a quick tasty afternoon snack. It’s also good with bananas. It contains only two ingredients: dry roasted almonds and palm oil. No sugar! Elan Banana chips. I used to not like banana chips, and how wrong was I! Made with organic bananas, coconut oil and cane sugar, they taste like bananas! They are crunchy and sweet. 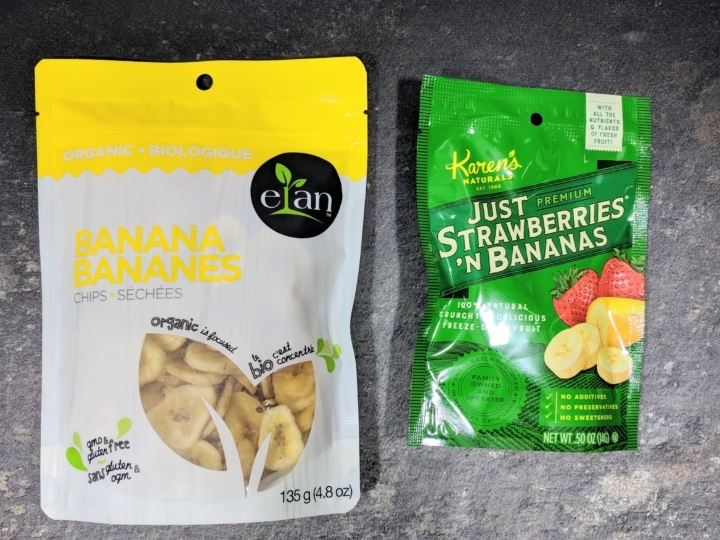 Karen’s Naturals – Just Strawberries ‘n Bananas. The fruits are freeze-dried, making them chewy and crunchy, like little pillows. For some reasons, the bananas really like to stick to my teeth, but it’s so tasty, I’m going back for more! 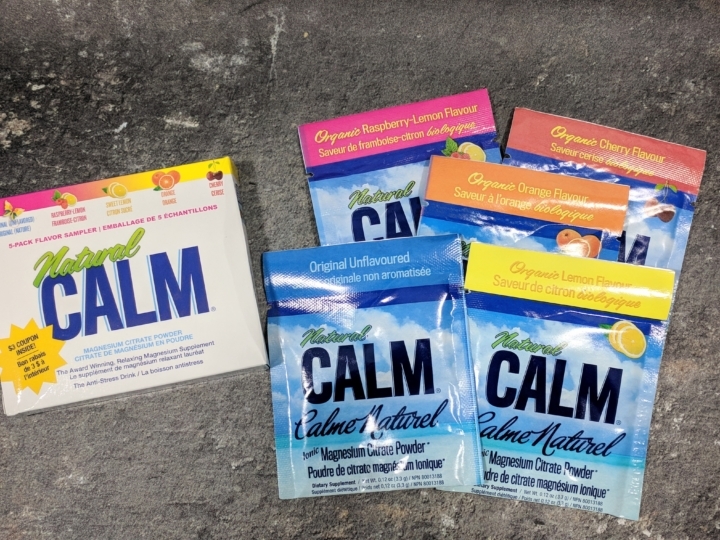 Natural Calm magnesium citrate powder sample pack. 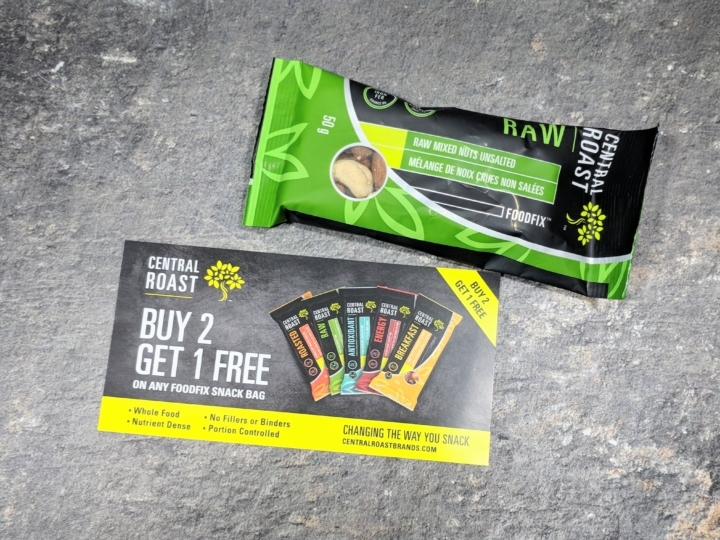 For those who needs a little boost of magnesium (I do when I exercise), these convenient individual packet are great for on the go or to keep in your gym back. We get to try five different flavors : original, lemon, raspberry-lemon, cherry and orange. My favorite is the raspberry-lemon. 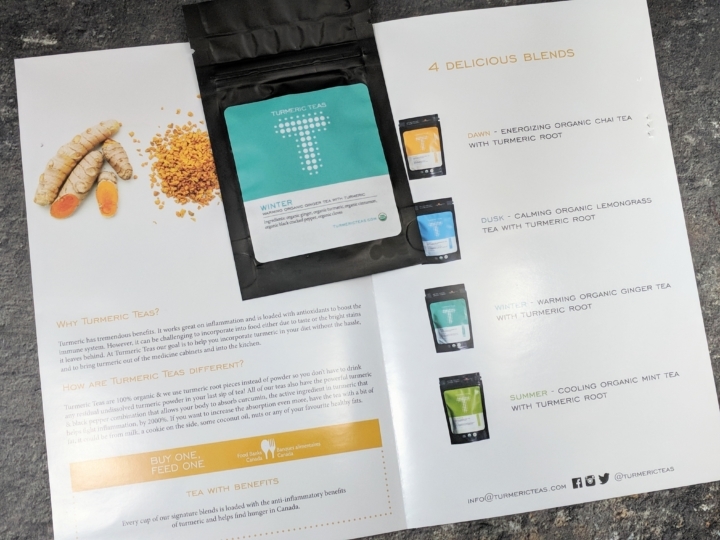 Turmeric Teas – Winter Blend sample. This turmeric tea is blended with ginger, cinnamon, black pepper and cloves for a warm spicy tea. You can add it to hot milk of your choice for a soothing and comforting drink. Simply Delish Instant Pudding – Strawberry. Gluten-Free, Vegan, sugar-freev and fat-free. Just add the milk of your choice (cow, soy, almond, coconut), whip and enjoy! Nature Clean Dishwasher Pac. This is actually the dishwasher soap I use. 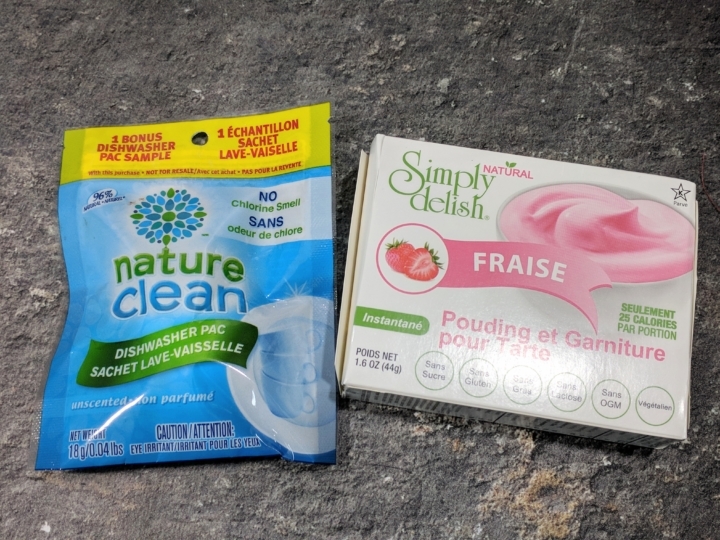 It doesn’t smell anything, it comes in a handy little pack that you just put in the dishwasher (no need to remove the “plastic” cover) and it cleans like normal soap. It contains no sulphates. Decode 3 in 1 Shampoo, Conditioner, Body Wash. Paraben and DEA free hair and skincare product, it will save time in the shower by using only one products for everything! It’s also a nice travel format to save even more space! 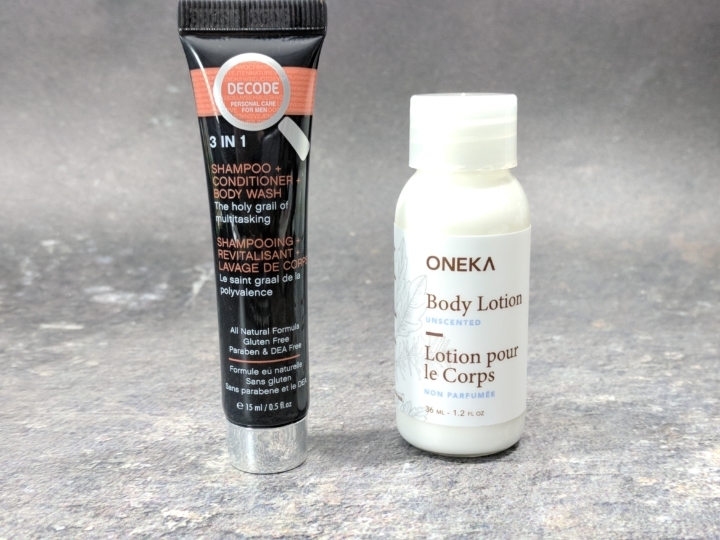 ONEKA body lotion unscented. I love body lotion, especially in winter, and I like when they are unscented. It contains burdock and calendula to nourish and sooth skin. Oneka uses wild harvested herbal extracts in their products and is free of sulphates and paraben. 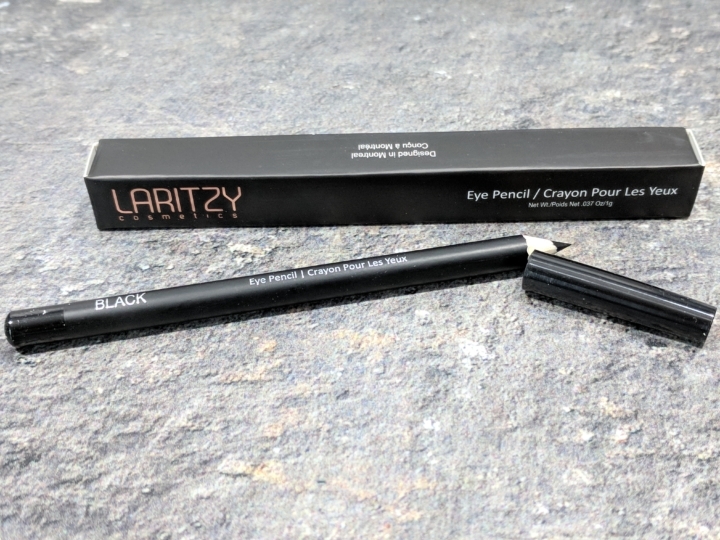 Laritzy Cosmetics – Eye pencil in black. This is one of the few make-up item that I actually use. It’s a nice pencil and the texture is almost tick gel-like. I like it! Urban Spa Pedicure Kit. 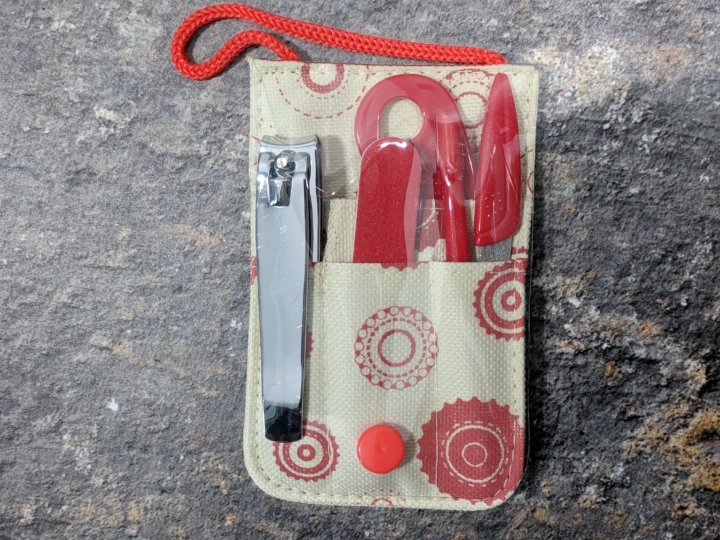 A cute mini kit that’s easy to carry in your bag. 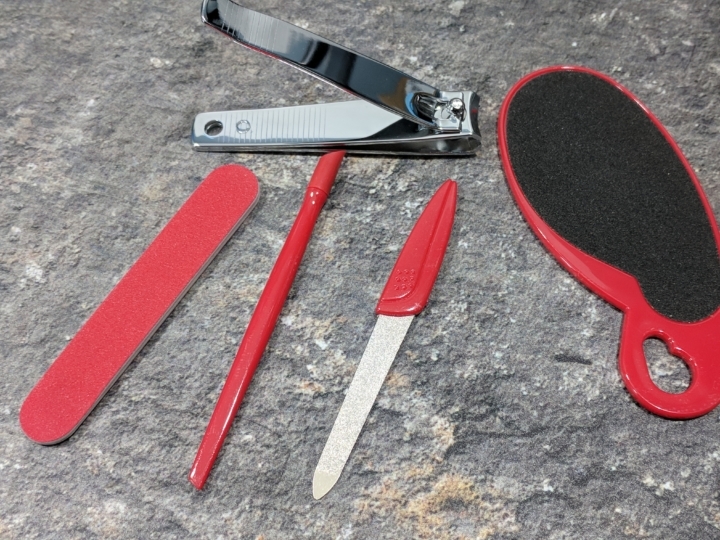 It comes with a nail clipper, a cuticle stick, an emery board and a foot file (two sided). 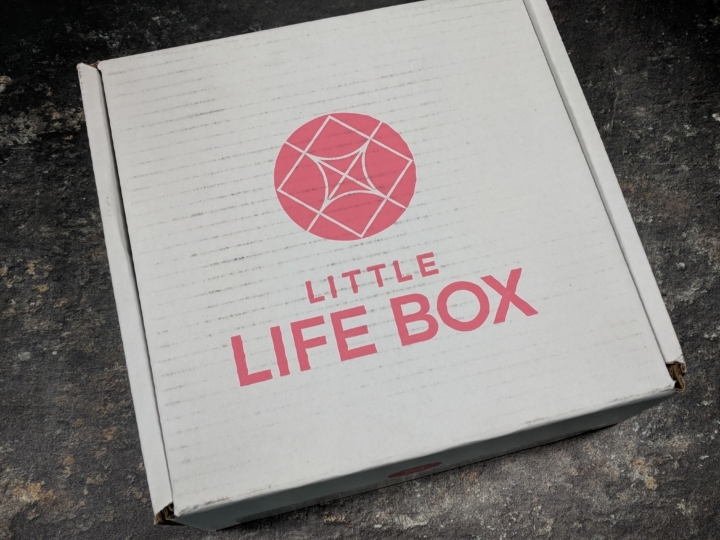 I really liked this month’s Little Life Box. 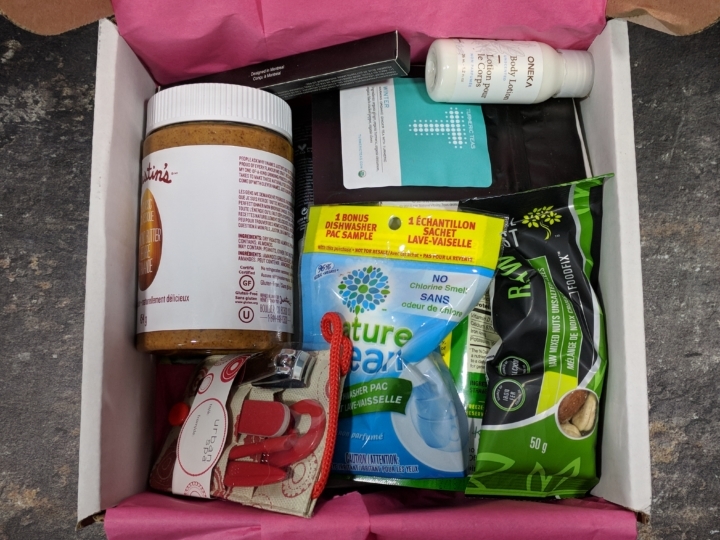 I’m happy to get a small a cute pedicure kit as well as a full jar of my favorite almond butter ever! I’m happy that a body and skincare product for men was included as well as some make-up. 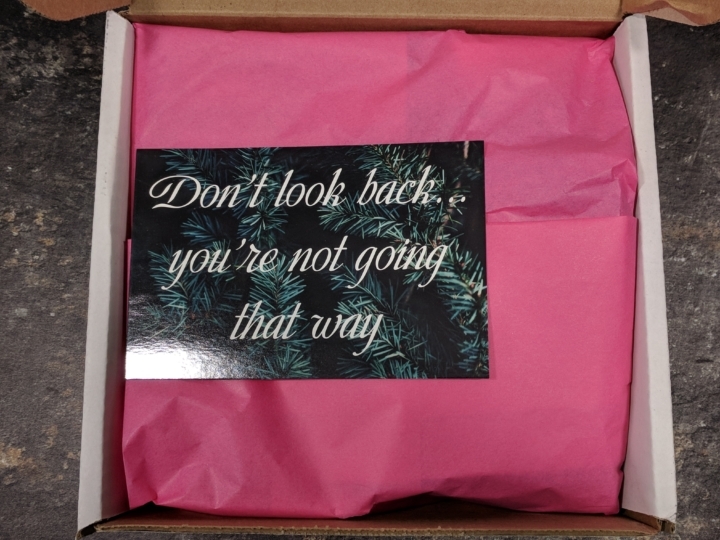 Overall, a nice discovery box once again! 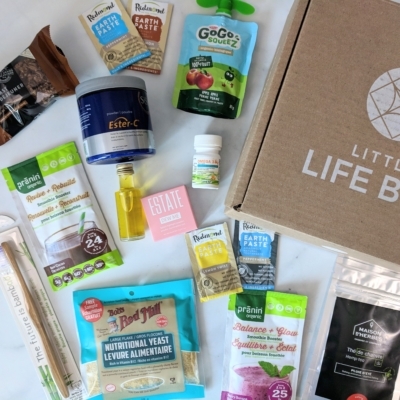 What did you think of December’s Little Life Box? 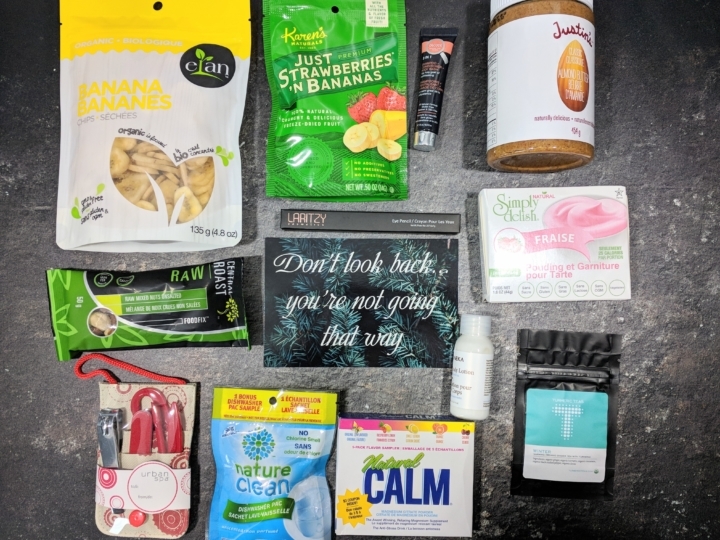 There is a lot of product in this box for $25.00. Will keep an eye on reviews to see if the boxes are always that good.